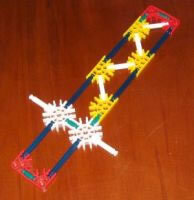 Classic KNEX is first-class for building strong 2D structures. 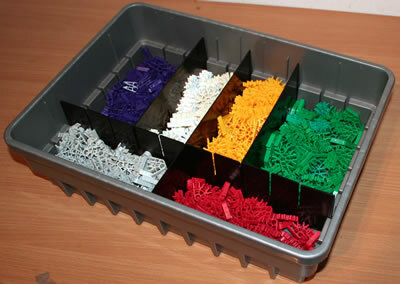 Not only are KNEX connections very strong, but squares made out of KNEX rods can always be reinforced with longer rods across a diagonal. 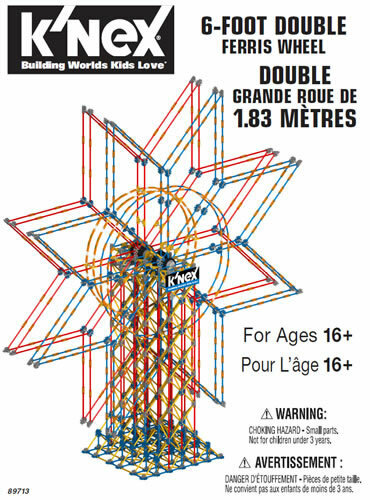 For this reason, you should always try and build K'NEX models using squares and triangles, as shown in the picture, rather than rectangles. Try not to use orange connectors when making 2D structures. 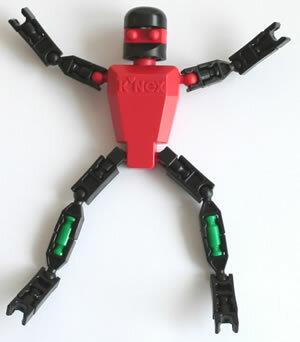 Use yellow and red connectors instead, as these can be joined horizontally and diagonally as well as vertically, to make your model stronger. 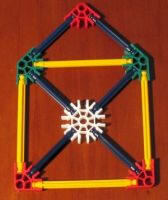 Sometimes there is a need to make a 2-D structure which is quite long, and strong across its width. An example is a sword blade. For these, we would recommend making two sides with yellow connectors, blue rods top and bottom, and white rods zig-zagging along in between.